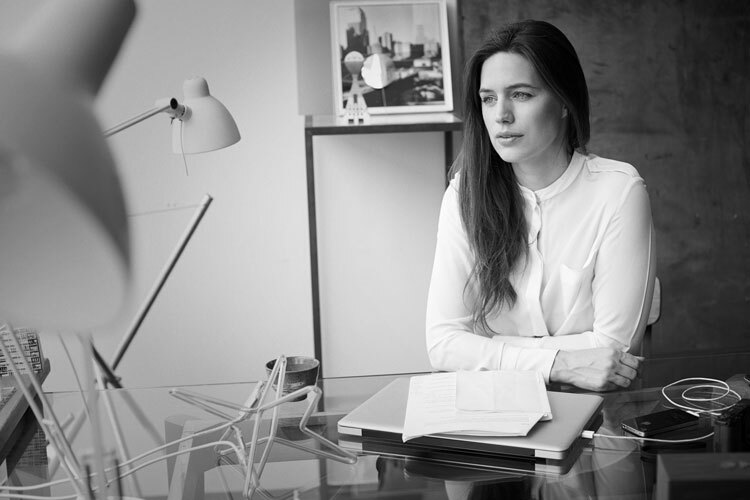 Pernilla Ohrstedt, founder at her self-named studio. © Eric Guillemain. What do you think 2019 will hold for exhibition design? 2019 is a year to look out for small radical exhibitions. I am very excited by José Esparza’s new reign at Storefront for Art and Architecture in New York. A new vision for one of the smallest but most interesting exhibition spaces I have ever worked with. Equally exciting will be what exhibitions and events the previous director of Storefront, Eva Franch Gilbert, will bring to the Architectural Association (AA), which she is now heading up. What was your favourite exhibition design project in 2018 and why? Photo: David Heald. © 2018 The Solomon R. Guggenheim Foundation. Swedish artist Hilma af Klint’s Paintings for the Future at the Guggenheim in New York was my favourite. Rarely has a building and an artist’s work expressed such synergy. 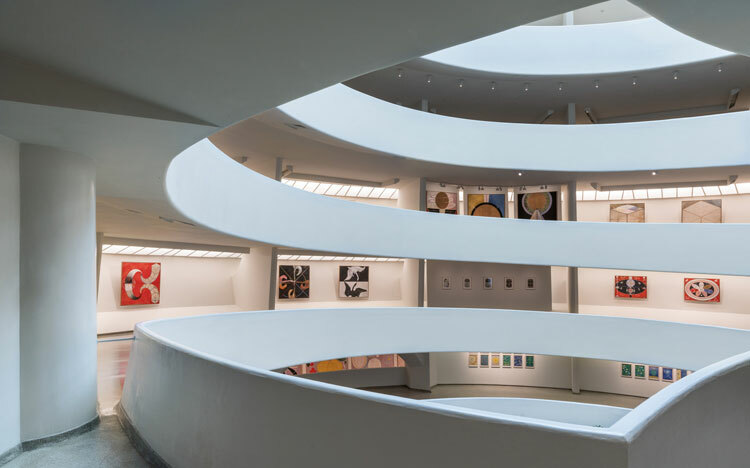 It is as if the building was made for this show, even though her groundbreaking work – which has only recently come to light — superseded the building by half a decade. The double height High Galleries show her breathtakingly bold “Ten Largest” from 1907, illuminated by semicircular roof-lights. And the continuing circular ascent spatially reinforces the message and importance of her work — the future has finally caught up with her. 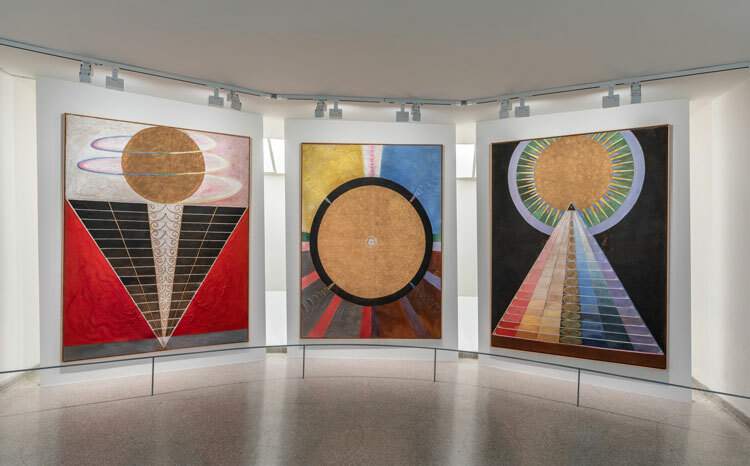 Installation photos: Hilma af Klint: Paintings for the Future, Solomon R. Guggenheim Museum, New York. Photo: David Heald. © 2018 The Solomon R. Guggenheim Foundation.